The Big Idea is a key character building value we feel is important for today’s kids to know and demonstrate. 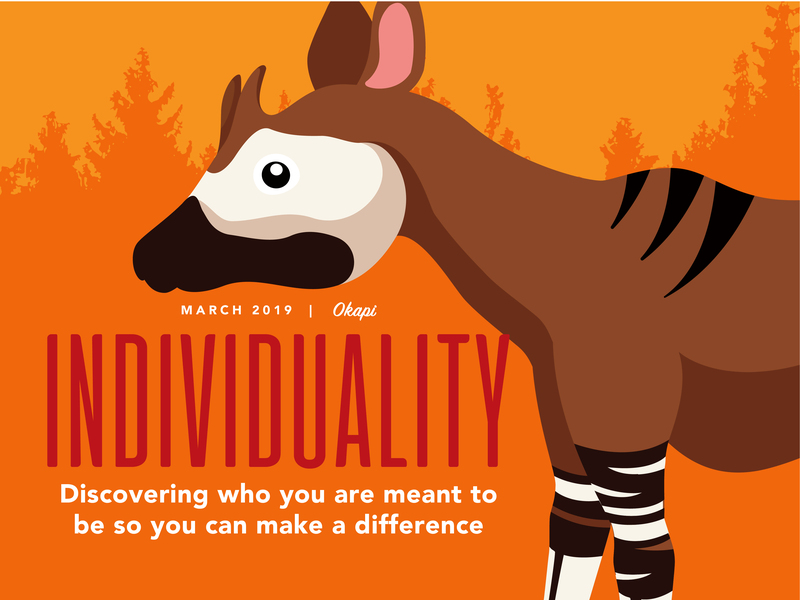 Each month, we present a new Big Idea, but every one centers around what we call the Big Three, all of which are outlined below! We believe that students who practice the Big Idea are students who refuse to stand for bullying in today’s schools. 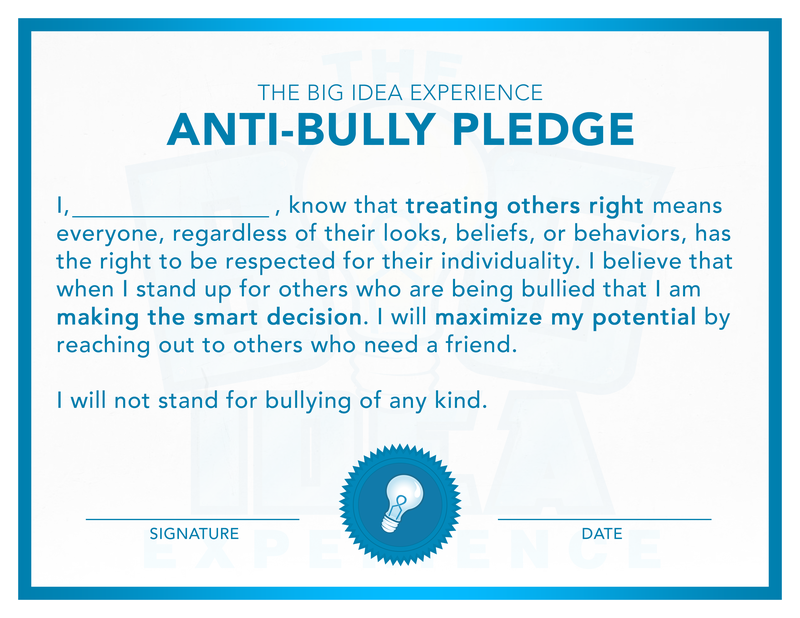 Help YOUR students take a stand against bullying and consider taking the Big Idea Experience Anti-Bully Pledge as a class. You can print out the certificate below and have your students sign, showing they’re committed to getting rid of bullying once and for all.